The name Topaz may derive from Topazos, a word meaning ‘to seek’ – the other possible derivation of the gemstone’s name is the sanskrit word tapaz, which means ‘fire.’ Topaz was used in ancient Egypt and Rome and in the jewelry of eighteenth century French and Spanish royalty. Its popularity increased and spread to England and France in the nineteenth century. 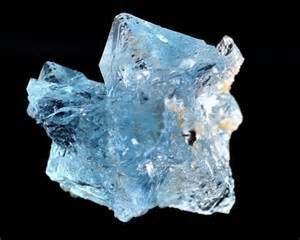 In the Middle Ages in Europe, Topaz was believed to enhance mental powers and prevent insanity. It was also said to improve poor vision, promote favor with kings and civil authorities, increase wisdom and soothe anger. In current metaphysical thought, Topaz is viewed as emanating a variety of beneficial energies, varying according to the type and color. Appearance: Orthorhombic crystal structure; frequently forms prismatic crystals, often eight sided with striations along the length. Many have diamond-shaped cross sections and pyramidal terminations. Blue Topaz can clearly provide an enhancement of one’s mental processing and verbal skills, as well as improving one’s attention span and ability to concentrate on mental tasks. It can help one conceive and achieve perfection in various projects and aspirations, as well as assisting one in making clear discriminations about what one does and doesn’t want in one’s life. It can clear and activate the throat chakra, enhancing one’s ability to articulate one’s ideas and insights. Blue Topaz is a natural magnifier of psychic abilities, and it can assist those who wish to attune to inner guidance, as well as those who hope to serve others through doing readings or spiritual healing work. In fact, these stones should be used in gemstone healing layouts, because they are resonant with the perfected pattern of the human body and energy system. Blue Topaz reflects the energy of the mind and of knowledge. It gently opens the throat and third-eye chakras, facilitating the communication of visions and knowledge to others. It carries the energy of the ‘fire of the mind,’ stimulating one’s ability to learn and to think through complex concepts and ideas. Natural Blue Topaz aids in expressing one’s emotions and needs. It promotes sharing and communication, as well as learning and mental perception. Blue Topaz helps one to integrate lessons and gain knowledge from one’s experiences. It helps calm the mind for meditation and can aid in communication with higher spiritual beings. 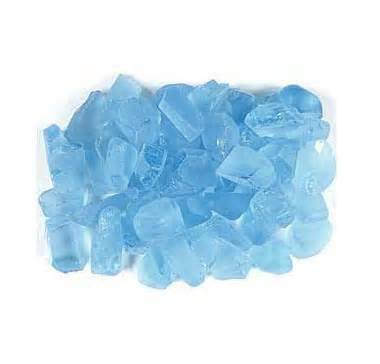 Blue Topaz has a calming, soothing effect on the emotional body. It can facilitate the communication of one’s deepest feelings and one’s highest truth. Blue Topaz is useful for sore throat, speech impediments, fear of public speaking, hyperactive thyroid and the general health of the neck and throat. It can also be used to calm migraines. I perceive and express my intuitive insights with clarity and precision.